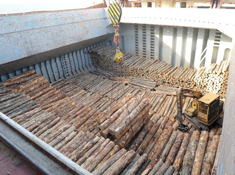 Established to cater to the Indian timber importers, Timberline, in a period of a few years, has shipped several million cft of timber logs to India. With vessel capacities varying from 4500MT DWCC to 22,000MT DWCC, the Line has established itself as a major service provider to the Indian timber industry. Timberline's regular sailing routes are from Malaysia, Indonesia and the remote Solomon Islands to Calcutta, Vizag, Chennai, Tuticorin, Mangalore and Kandla. 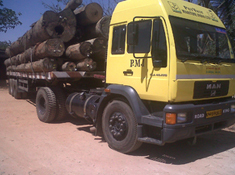 Puyvast is in the process of introducing regular services also from Africa, Australia and New Zealand to the sub-continent, to further serve the timber industry.